February is American Heart Month. In a month known for hearts and Valentine’s Day, it seems appropriate to bring attention to a disease that affects everyone we love. Heart disease is the leading cause of death for men and women in the U.S. More than 600,000 people die every year from it. Even if you add up all of the deaths due to every kind of cancer you can think of, it would not equal the amount of deaths from heart disease each year. 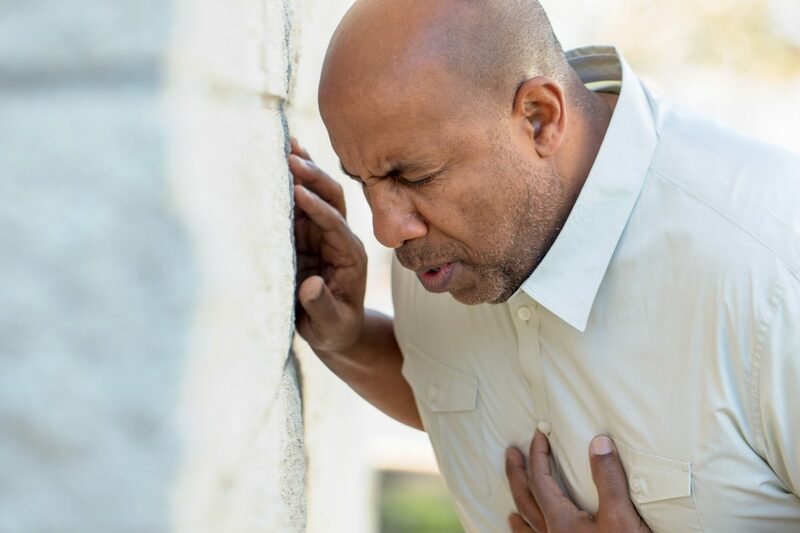 When we say heart disease, we are referring to a disorder of the blood vessels of the heart that can cause them to become blocked and lead to a heart attack. Some of us are more predisposed to this disease based on our age, gender and genetics. For instance, men have a higher risk than women – until the age of 75 when it evens out for both sexes. Also, if you have a family member who developed heart disease, that puts you at better odds for developing the condition. However, other than these factors, heart disease is pretty much an equal opportunity condition because of our typical American diet and lifestyle. It sounds strange to say but that’s actually good news; it means that heart disease is preventable and there are many things we can do to avoid it. Quit smoking. The Centers for Disease Control and Prevention (the CDC) believes that smoking can quadruple your risk for a heart attack or stroke. This is because smoking damages blood vessels and increases plaque build-up in the arteries, which make it easier for blood clots to form. Increase your level of physical activity. A sedentary lifestyle – specifically, one where you are sitting for more than 10 hours per day – increases the risk of cardiovascular disease. The World Health Organizationcalls it as dangerous as being obese. For most of us, our workday consists of sitting in front of a computer for most of the workday and then sitting in our cars for a long commute home. Studies show that 150 minutes of moderate physical activity can reduce your risk of coronary heart disease by 30%. Another thing you can do to help at work: for every 20 or 30 minutes of sitting, try to get up and move around for two minutes. Maintain a healthy waistline. Your waist measurement is actually a predictor of your risk for heart disease. Your risk increases according to the amount of body fat you have and it’s easy to gauge based on abdominal fat. Strive for a waist circumference of less than 40 inches if you’re a male and less than 35 inches if you’re female. You can also calculate your body mass index (BMI) to measure your amount of body fat based on your height and weight. Here’s a link to a formula to help you compute your BMI. Or, you can ask your doctor to tell you what your BMI is on your next visit. Ensure your diet is heart healthy. It can be hard when it seems like every day we hear about some new food that’s either good for us or bad for us. But there is one diet that’s been proven time after time to be beneficial. The Mayo Clinic affirms that the Mediterranean diet is a good, heart-healthy eating plan. It emphasizes fruits, vegetables and whole grains with more fish and chicken than red meat. You can find a sample menu for one week here. Manage stress. For years, it’s been known that people who are under a lot of stress have an increased risk of heart disease. However, we also know how much people misuse the word “stress.” Are we talking about emotional stress or physical stress? And exactly how much stress is too much stress? When your doctor calls for a stress test, the cardiologist will put you on a treadmill to measure physical stress on the heart. And as we talked about above, more physical activity is good for your heart. So, unless you overdo it, exercise is not the kind of stress we mean. When we say too much stress is bad for you, it usually refers to emotional stress and, in particular, how you react to it. Keep in mind that no one can avoid stress entirely and we all react differently to stress. People especially at risk are those who feel as if they have no control over their lives or people who undergo severe shocks, such as the death of a loved one, divorce, job loss, exposure to violence or a disaster. Make an appointment with your primary care physician. He or she can help you create a plan to get heart healthy and help you address any questions you might have. Tell your doctor about any concerns about stress, too.